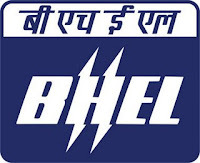 BHEL (Bharat Heavy Electricals Limited) is the largest engineering and manufacturing enterprise company in India today, which includes Power, Transmission, Railways, Oil and Gas sectors and many more other. BHEL manufactures over 180 products under 30 major product groups and caters to core sectors of the Indian Economy. Country’s leading engineering company invites applications for recruitment 2009 of various engineering branches such as, Mechanical, Electronics, Electrical, and Civil engineers. And BHEL has also invited recruitment application form for supervisor trainees. 1. Commencement of on-line submission of applications: 31st August, 2009. 2. Closing of on-line submission of Applications: 21st September, 2009. 3. Last date of receipt of Ack. Slips at BHEL: 28th September, 2009. Check out question model for bhel supervisor trainee of Written Test Here. You can apply Online. Online submission of applications and details can be found at the website Here. You can get more info about BHEL Here. Telephone : +91 11 66337000 (multiple lines).